Posted on August 18, 2015 by Shelby B. A mix of all sort of songs to make those mandatory readings a little less terrible. If you have anything you would like me to create a playlist for or additional genres you would like my picks for leave a comment down below! Posted on January 7, 2015 by Shelby B. 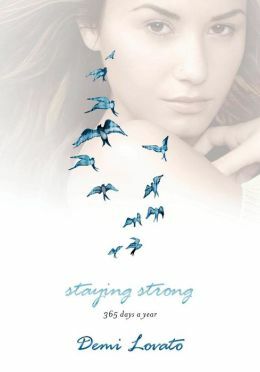 S taying Strong 365 Days a Year by Demi Lovato has become a part of my daily routine in the last year and I have already restarted in the New Year. For each day of the year is a page with the date that contains; the date, a quote, a positive message that usually ties everything together, and a daily goal. I got this book as a gift while a family member was in the hospital and have read it everyday since. I usually pick it up in the morning and then put the daily goal in my phone or write it down so I can make sure that I accomplish it. There are times that it will stay in my phone for days, or even weeks before I actually can delete it. But the feeling is indescribable and it is something that I can easily look forward to everyday. I always recommend it to friends and even family, everyone that has read it has loved it. If you are looking for a book that is uplifting and can bring some extra positivity into your life, this is definitely the book. I can’t describe how much it has changed my life for the better. Posted on December 18, 2014 by Shelby B. For me finding a book is never an easy task, because I dislike going out of my comfort zone and taking a chance. So this book was a lucky find after hours of searching around the internet. It had the vibe and similarities from two of my favorite books and maybe even a third that are all pretty popular: If I Stay, Thirteen Reasons Why, and The Fault in Our Stars. 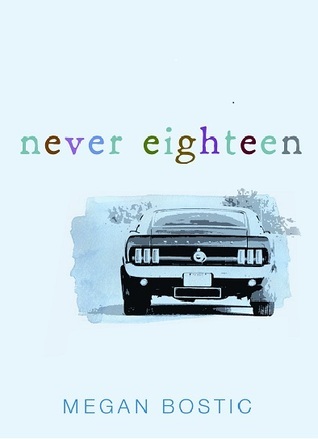 The book Never Eighteen by Megan Bostic is the story of Austin Parkers, who is on a journey through life to close loose fences, and bring a final piece of meaning. Austin tries to live out the final duration of his life by helping some of the people that have either made an impact or touched him in some way in his life. These people are those he thinks need help and guidance, but don’t know or realize it for whatever reason. Austin makes the journey with Kaylee, the girl he loves, making stops along the way to famous places in their home of Tacoma, Washington and facing their fears. Ultimately, the inevitable happens: due to his refusal of continuing treatment, Austin passes away from leukemia. One thing I really enjoyed about the book, that it was not centered on him having a terminal illness, but rather about him mending fences with the other characters and their relationships. It underplays the cancer; it is only really mentioned by Austin that he is indeed dying, while the other characters appear to be in a sort of denial or a strong hope everything will be all right. My favorite part was how the author put songs at the very end, which inspired her writing and the spirit of the book. Which inspired me to name the following songs that I believe that fit the story line. I Lived – One Republic: A personal favorite for me and is one that I constantly thought of. It is exactly what I pictured Austin wanted himself and his family to picture, and be able to say. I think it also matches the tone of the book, perfectly. Best Shot – James Young: A perfect description of the relationship or friendship shared between Austin and Kaylee. This song is about always being there for each other even when things are hard and that is one of the main themes of the story. All of the Stars – Shawn Mendes: Originally by Ed Sheeran for, “The Fault in Our Stars” this song is given a younger tone when sung by Mendes. This song really went hand in hand with the tone of the book, near the end. This song has a lot of links to death and so it holds a connection to Kaylee’s thought and feeling, especially the link to star gazing. Undone – Haley Reinhart: The song describes, how much love can tear you apart once it ends and how you feel that you will never quite recover. The lyrics are actually quite beautiful, a perfect description of how Haylee felt shortly after the loss of Austin and receiving the box and letter. She wants answers to why this happened to her and how she is supposed to move on from this tragedy. I Will be There – Odessa: If I had to pick one song to be the theme, this would be it. This depicts how they are best friends and always there for each other. No matter what, they will be there to help you. The lyrics are simple, but the song itself is very unique from most of current day music. If Today Were Your Last Day – Nickelback: I was really impartial to putting this song in because it could easily be described as cheesy, but the lyrics just fit the text really well. It was almost as If the song was written for the book, because they are just that close. This was on key for what I believe Austin was felling in the book, when he went to everyone house. These Four Walls – Little Mix: The raw emotion that is described in this song, mixed with the beautifully written words in this book pair together exceptionally well. I believe that this is yet another perfect description of Kaylee and her emotions after losing Austin. What You Wanted- One Republic: The feel of this song is so powerful and the lyrics make it a song that never quite leaves your mind. The unconditional love that is described in only four lines gives us a glimpse at how amazing a first love can be. Something that Kaylee and Austin both got just a glimpse. All You Had To Do Was Stay – Taylor Swift: In the end Kaylee wanted nothing more than to have Austin, all he needed to do was stay. But this was realized too late, therefore it could not happen; instead she had to deal with the grief of losing him. Please Don’t Go – Barcelona: This song is so simple but in a very beautiful way, the few lyrics there are speak for themselves; painting a picture of two friends who have ultimately fallen in love but one does not notice their feelings or keeps them hidden out of fear. Come Home – One Republic: Finally, a song originally written for someone whom has been deployed to fight for their country shortly after getting engaged. When I hear this song I instantly think of someone sitting in either the rain or in the dark of night, writing the lyrics but at the same time saying them. And that is exactly what I felt like at the end of this book, and when I put the two together it just fit and gave that bit of closure. Posted on September 18, 2014 by Shelby B.
Here’s the secret, baby: if you live, if you die, it’s all up to you. 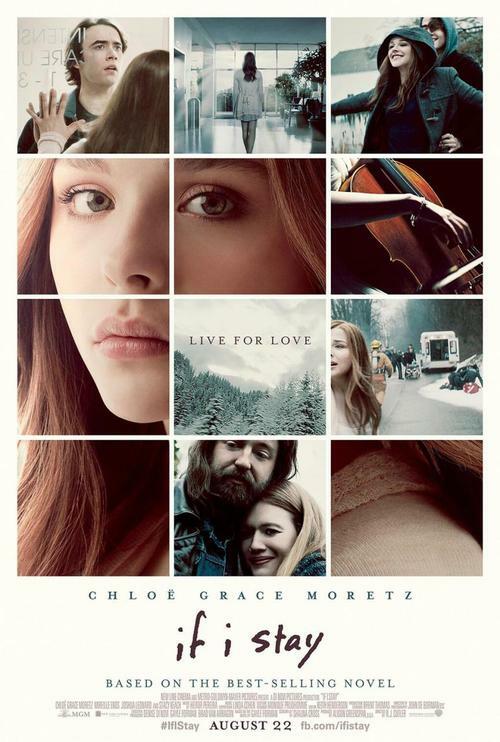 So whatever fight you got in you, you gotta pull it out now.” – If I Stay. When I first picked this book up I could not get past the first chapter, and left it on my book shelf. Fast forward three or four years after seeing the movie trailer, which took my breath away and left me in tears, I had to pick up the book again and give it another shot. I am more than happy that I did, because I could not put the book down. Multiple times I would lose myself in the book and by the time I looked at the clock I had ready four hours. I found myself constantly thinking about the book and counting down the days till the movie was released, re reading the book multiple times just to get that feeling again. I even got the chance to see that movie, another time that I shed my fair share of tears. If I Stay by Gayle Forman is the story of Mia, an average seventeen-year-old girl who has a lot to love in life; she is a cellist with a chance at making it into Julliard. Her family and friends give the story an added bonus with their loving, caring, charming, and lively qualities. And Adam, her perfect boyfriend– their love makes the story and makes it that much better. But after a car accident takes away her mom, dad, and brother, she is forced to make the choice between life and death. I always put myself in the character’s place, when reading, and after I found myself constantly wondering what I would do if I had to make the decision. Before even starting the book my decision, was without a doubt I would stay. But about half way through the book I changed my mind. During one of the many flashbacks, this one in particular was when Mia’s dad quits his band so he could make a better life for Mia and her brother soon to be born. This brought into play my sister, and how I could not imagine living without her, how I would never be able to call her, or sing songs with her. So the choice seemed again, easy. But that was leaving a blind eye to the fact that I would be giving up everything that I had already worked for. And all the dreams I had, and the thing that I had not been given the opportunity to do. The friends I have not made, the books I have not read, the music I have not heard. And was I really willing to give all that up? So I was stuck again just like Mia, thinking about all the things that would be keeping me from making the decision either way. This seems small when in the book, just something a parent says, that we would probably ignore. But after thinking about it, those fourteen words split into three sentences describe the whole book and was genius representation of universal theme. That conveys all the emotion and the hard truth of the book. Which is why this became a big changer for me again, and I realized that either way I would never be completely happy with the decision. So I end this with my favorite quote of the book, one that I believe is different for everybody and describe the choice perfectly.